The share of promoters in the Reliance Group companies have decreased in the bracket of 2 to 4 per cent, bringing down promoter stake in Reliance Capital below 50 per cent. 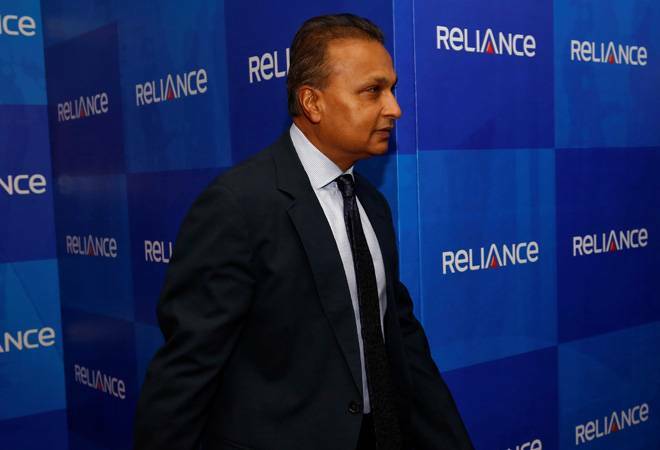 Major finance companies have invoked pledged shares worth Rs 552.17 crore in the Anil Ambani-led Reliance Group companies after the announcement of insolvency proceedings by Reliance Communications on February 1. With this development, the share of promoters in the Reliance Group have decreased in the bracket of 2 to 4 per cent in certain Reliance Group companies, namely Reliance Power, Reliance Communications, Reliance Infrastructure and Reliance Capital, bringing down promoter stake in Reliance Capital below 50 per cent. While lenders sold Reliance Power's 21.05 crore shares worth Rs 263.77 crore, 75 lakh shares worth Rs 108 crore were sold in Reliance Infrastructure. Another 8.98 crore shares worth Rs 52.75 crore were sold in Reliance Communications and 1.03 crore shares worth Rs 126.94 crore sold in Reliance Capital. In total, 31.81 crore shares of Anil Ambani-led Reliance Group have been sold for a value of Rs 552.17 crore. During the last five trading sessions, Reliance Communications has lost 29.73 per cent of its value after insolvency proceedings announcement. Similarly, Reliance Power shed 52.58 per cent, Reliance Infrastructure 56.20 per cent and Reliance Capital 25.29 per cent since February 4. IDBI trusteeship in its regulatory filing said that the shares pledged have been invoked due to a "default of the terms of transaction committed by the issuer". In an earlier stock exchange filing, Reliance Group responded to the massive selling by the financial companies and said, "A few NBFCs, substantially L&T Finance and certain entities of Edelweiss Group, have invoked pledge of listed shares of Reliance Group and made open market sales of the value of approx. Rs 400 crore from 4.2.2019 to 7.2.2019. The illegal, motivated and wholly unjustified action by the above two groups has precipitated a fall of Rs 13,000 crore, an unprecedented nearly 55 per cent in market capitalisation of Reliance Group over just these four short days, causing substantial losses to 72 lakh institutional and retail shareholders, and harming the interests of all stakeholders." As per information available on NSE, L&T finance alone sold 2 crore shares of Reliance Communications at a price of Rs 5.14. It also sold 77.86 lakh shares of Reliance Capital at Rs 123.89, 49 lakh shares of Reliance Infrastructure at Rs 120.98 and 6.25 crore shares of Reliance Power at Rs 10.85, respectively. Meanwhile, Edelweiss Group retaliated strongly against the allegations by Reliance Group. The financial services company said that is has always acted responsibly, not only in safeguarding the interests of its investors but also in ensuring that market integrity is maintained. Edelweiss Group said that it opted for "liquidation of the collateral as per the agreed contractual terms" after giving due opportunity for remediation and in absence of a response from Reliance ADAG Group in the face of sharp drop in the prices of Reliance Group shares on February 4. L&T Finance also came forth with its clarification that the sale of shares of Reliance Group companies is as per contractual rights and is legal. "L&T Finance had granted loans against pledge of shares to Reliance Group companies. As per loan and pledge agreements, borrower did not cure various events of defaults including providing margin for shortfall in the stipulated security cover. Despite various notices in the past few months, events of defaults continued. Consequently, L&T Finance enforced its rights of invocation and sold pledged shares to the extent of its outstanding dues by following the due process of contract and law," the company said in a statement. Following a board meeting today, Reliance Capital said that it is planning take legal measures against L&T Finance "to protect and enhance the value of all its stakeholders" following sharp fall in market capitalization and destruction of wealth. Share pledging is done by promoters to raise funds with financial institutions as collateral for loans. The pledged shares are invoked by the financial institutions (lenders) when the market value of shares falls and the promoter is not able to support the gap by providing additional shares. In the last one year, the shares of these four companies have plummeted in excess of 70 per cent. Reliance Communications share price has declined by 80 per cent during the period. On February 1, RCom's board reviewed the progress of the company's debt resolution plans since the invocation of strategic debt resolution on June 2, 2017. The board noted that despite the passage of over 18 months, lenders have received zero proceeds from the proposed asset monetisation plans, and the overall debt resolution process is yet to make any headway, the statement said. It is estimated that RCom has been reeling under a debt of over Rs 46,000 crore. On the same day "RCom board of directors decides upon implementation of debt resolution plans through NCLT framework," the company had said.